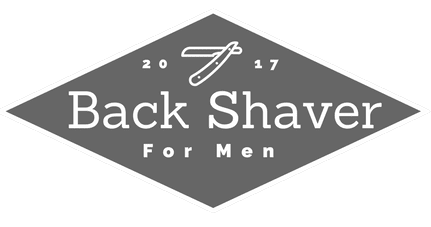 s I have been refining and expanding my whole men’s grooming experience as of late, from mostly products and techniques. 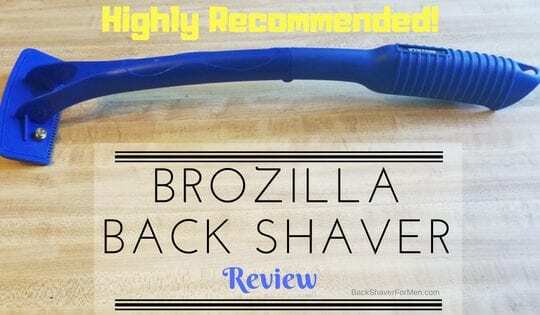 I might also add this has been a real joy, finding products I love and that are very practical. I soon realized my Dopp Kit game was severely lacking and needed updating. When I travel I would put my toiletry into an old sheers bag, which is designed for storing hair clippers. 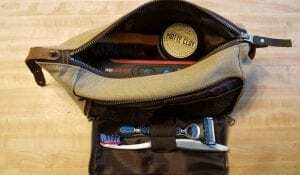 Before we get going, I would like to explain what a Dopp kit is. 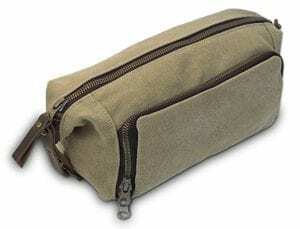 If you don’t know what a Dopp Kit is, it also goes by another name toiletry bag or travel kit. Where you put stuff like your toothbrush, deodorant, cologne, soap, shampoo and such into it for when you travel for convenience. 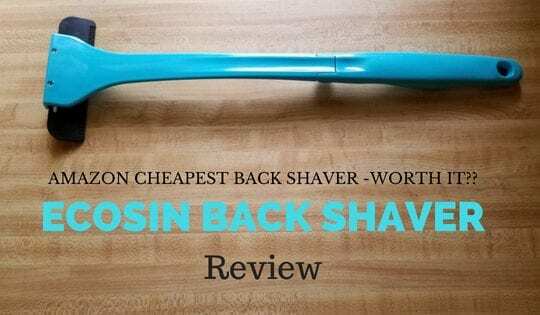 It allows you to separate items from other items in your suitcase as well as possibly protecting leakage, depending on the type of Dopp kit you buy. I believe this Dopp kit has all the important features as well as the looks to go with it. So, I decided to start to investigate buying a new Dopp Kit. Enter the Habitoux Dopp Kit. I found this on Amazon as the design look practical and made of quality materials. Got my hands on one and now off to reviewing this Dopp Kit. The size of this Habitoux Dopp Kit I would classify as a medium bag, not the biggest and not the smallest of a Dopp kit. This seems to be quite adequate to hold all of my toiletry items with room to spare. I also find the material to be a pleasing rugged Manish look, while not made of leather, it is a good second choice for a material and should hold up to wear and tear. It has a total of three compartments, the main, exterior and inside the main compartment is a side little compartment. I just love the practicality of the exterior compartment. It’s where you store your toothbrush and razors as well as other things for quick and easy access. Thereby separating items that need to be separated for hygiene or other reasons. 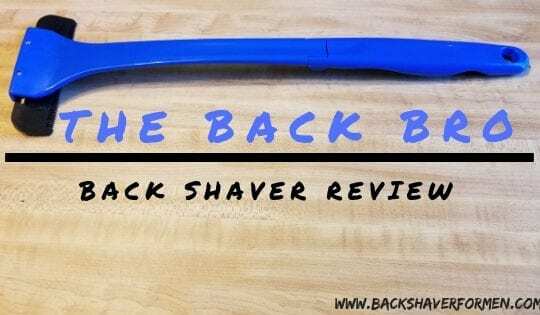 This is my favorite feature of the Dopp kit!! Appreciate all of the mesh pockets (a total of 4) to help clearly see where everything is stored, as well as locking down any such items that need locking down. Waterproof interior lining. This is a freaking must!!! So, if anything explodes or leaks it won’t affect any of your clothes when stored in a suitcase. Awesome side compartment on the exterior of the Dopp kit. With a two-part compartmentalized netting, along with 3 elastic loops for your toothbrushes and/or shaving razors. Quick to get to and away from possible lotions or colognes. I love this feature! The ripstop lining on the interior. Heavy Duty YKK zippers. This is the brand name among zippers that you want on your product. Overall quality is very good and appreciated. The overall look is appealing. I mean leather is the best looking but this holds its own. I find the overall size to be to my liking, but you may personally like a smaller or bigger bag, but I find the bag fits all my toiletry items without taking up a lot of real estate in my luggage. This can also be dependent on the amount of time you are traveling for: as for a long overseas trip, you might want to opt for a larger Dopp kit. Does appear to have some padding on the bottom of this, which could help avoid some disasters. Available in one color. I don’t mind the color but it would be a nice option to go with a darker color for some people. The interior zipper is not YKK zipper, but the two main exterior ones are. 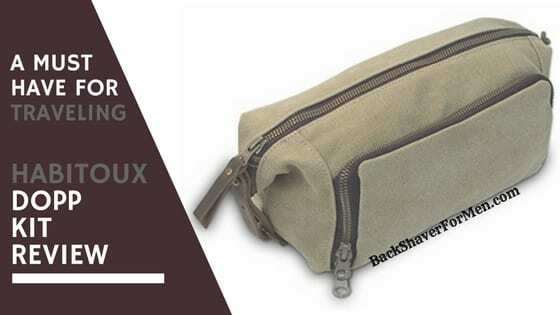 Habitoux website states the dimensions of this Dopp Kit is 8.8 X 4.8 X 5 inches. The main construction material used in this kit is cotton canvas. The other materials are a ripstop fabric and waterproof material on the interior as well as mesh material. The only leather on this kit is on the zipper handles and the exterior handles on both ends of the Dopp kit. There is a total of three zippers to three different compartments. Some items in my Dopp kit. 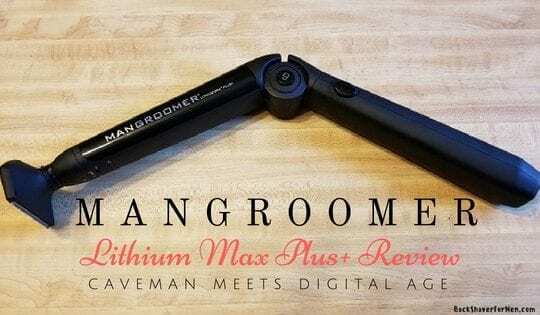 Oh, wait…is that a ManGroomer Lithium Max Back Shaver in there? Why yes…yes it is. It fits nicely for traveling. Bonus!!! 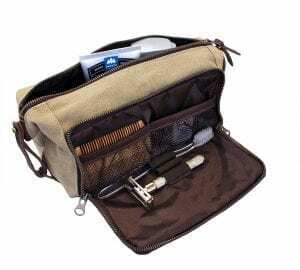 This is a good solid Dopp Kit with a good price point. The features all work and are functional, as the quality all seem to be here. With waterproof and ripstop materials, as well at two at of the three are quality zippers. The two main zippers are quality and this is paramount because if these zippers break or don’t work this thing is no longer good to seal up. But having quality zippers this shouldn’t be a problem at all. This is built to last with quality zippers, ripstop material, good thick canvas and waterproof interior. Everything you need for longevity. Having a Dopp kit is a convenience as well as having a piece of mind. Having possible leaky fluids in with your clothing and possible documents in your suitcase is a recipe for disaster. Buying a Dopp kit is a must for traveling you’ll be glad you did. Would love to hear any comments or questions.